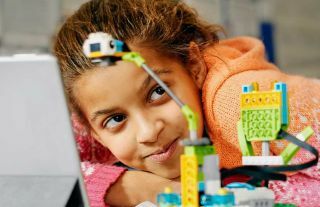 Applications Open for New LEGO® Education Master Educator Program in U.S.
LEGO® Education announced today the LEGO Education Master Educator Program for pre-K through high school educators located in the U.S. who currently use LEGO Education solutions in their teaching. Candidates should be passionate educators that embody the LEGO Education mission and are dedicated to enabling success for all students through playful learning experiences. The 100 LEGO Education Master Educators will receive access to like-minded educators, insider news of special LEGO Education offers and events and recognition. They will also be in invited to participate in potential LEGO Education Master Educator gatherings and invited to provide feedback to LEGO Education offerings and programs. Educators can submit their applications until March 2, 2018. Selected Master Educators will be announced in April. To apply and learn more, visit here.